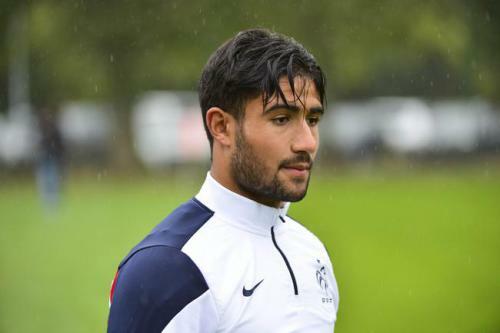 Arsenal are keen on signing French international Nabil Fekir who has been in sensational form so far this season, he has stepped up in the absence of former Lyon striker Alexandre Lacazette who joined the Gunners in a record breaking £52 million deal in the summer. According to reports from English publication Daily Star, he has been touted as the perfect replacement for contract rebel and wantaway striker Alexis Sanchez who has refused to sign a new deal at the Emirates and could leave on a free next summer. The Gunners have showed keen interest in the French attacking midfielder and are ready to splash the cash on him and are hoping a bid in the region of £60 million will be too hard for the Ligue 1 outfit to refuse as they hope to lure the playmaker to lure the playmaker to the Emirates. The Olympique Lyonnais captain recently expressed his desire to play in the Premier League after been asked about his future earlier in the month. ‘From a technical point of view, it is neat. It is the best! The 24-year-old has had a brilliant start to the season scoring 12 goals in 15 games in all competitions. He is currently the third highest goal scorer in the French Ligue with 11 goals from 11 games which is an average of one goal per game in the Ligue 1. He is known for his vision, creativity, technique, an eye for goal and his ability to setup his team-mates. He is often deployed in the hole behind the striker and can also play as a striker.